Christmas Countdown 2012: 11 days! This isn’t a Christmas video per se, but it’s based on a beloved TV Christmastime staple — A Charlie Brown Christmas. 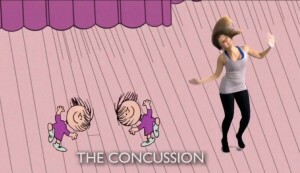 Want to learn how to dance like Charlie Brown’s friends? Take a look! Enjoy today’s Christmas countdown video: The Charlie Brown School of Dance! Laughed out loud at The Concussion. ← Christmas Countdown 2012: 12 days!